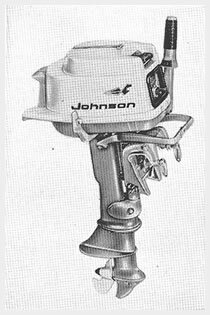 Johnson's 1961 Fleet of Outboard Motors is headed by two new 75-hp. 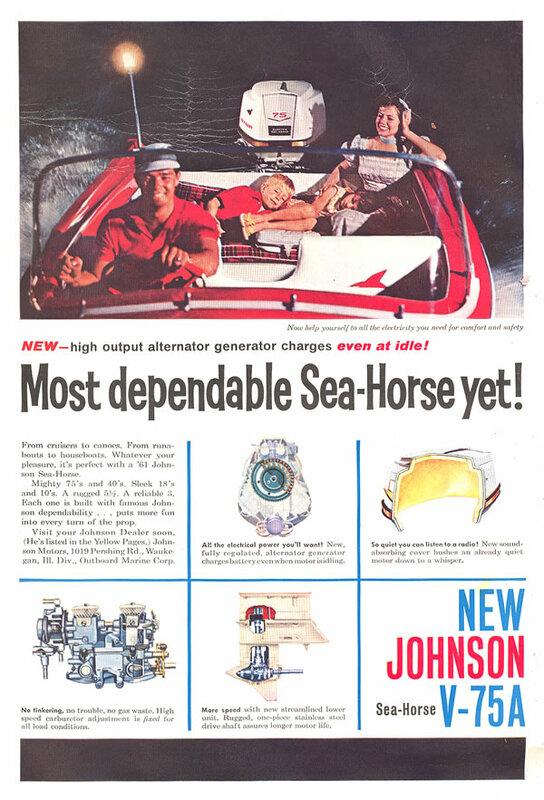 Sea-Horses, one with a fully transistor-regulated a.c. generator. Other models include electric and manual starting versions of the "40," and motors rated at 18 hp., 10 hp. 5 ½ hp. and 3 hp. The 5 ½ hp. Sea-Horse now has a full complement needle bearing in its connecting rod assembly. New wrist pin bearings are provided in each model from 10 hp. up. All motors are protected by an anti-corrosive "armor." The factory-installed a.c. generator available at moderate additional cost with the V-75A charges 5 amperes at idling speed and quickly rises to a 20-amp. rate. Direct current is produced by new silicon diode rectifiers. 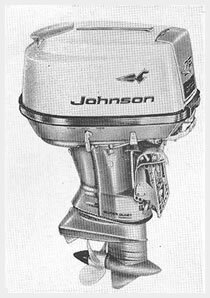 Fixed high speed carburetor jets on V-75 and 40-hp. motors do away with hand adjustment. They provide a mixture automatically corrected for load and altitude conditions. Choking also is automatic. For quick recovery from a stall-out while maneuvering, the V-75 has an interlock switch to permit starting in gear at slow-speed throttle settings. A new two-lever remote control has an adjustment of throttle friction; another of idle speed stop. A green dash light indicates when the key switch of the Super 75 is turned on. Both "75s" and electric starting "40s" have red lights to warn of engine overheating. Both V-75 models have lower unit drive shafts of one-piece stainless steel with needle steady rest bearings. Pinion bearings have been designed to use needle thrust bearings running directly on the gear flanges. Covers supplied with 75 and 40-hp. Johnsons are lined with a new cellular material that is lightweight and drastically reduces sound. A new silencing "cuff" is provided for long-shaft 40-hp. Sea-Horses to deaden sound from the 5" extension piece.